Both Google’s Pixel 3 and Sony’s Xperia XZ3 avoid the current trend for dual-rear camera setups by sticking with one lens, while Huawei’s P20 Pro, the LG V40 ThinQ, and the Kirin 980-sporting Huawei Mate 20 all come with three. But if the Nokia 9 image, which has now been removed from Baidu but was captured by Slashleaks, is to be believed, Nokia is taking a ‘the more, the merrier’ approach by adding a penta-lens camera array to its smartphone. Like so many things on the internet, this could easily be a fake, but there are a few factors that suggest it’s the real deal. 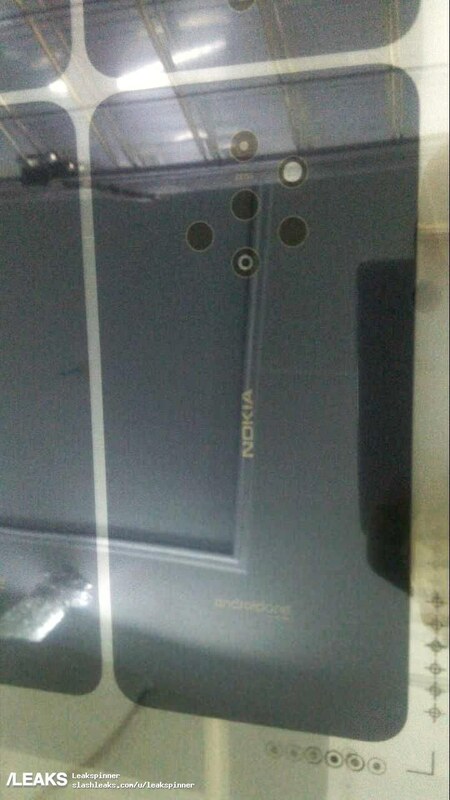 Rumors that the Nokia 9 will feature a multi-camera setup have been floating around for months now, and there’s also an Android One logo near the bottom of the phone. It’s thought that three of the rear cutouts will be 41-megapixel, 20-megapixel, and 9.7-megapixel Zeiss-branded sensors, while the LED flash is placed at the top right. It's also said to have a 4x optical zoom and both Xenon and LED flash modules. The phone also appears to lack any rear fingerprint sensor, suggesting that it will ship with an in-display reader—a feature that has been hinted at in other leaks. Even if the Nokia 9 really does have five camera lenses, another smartphone may soon come along with even more. Camera maker Light is reportedly working to bring its multiple-lens technology to handsets, and we may see a phone with nine cameras sometime this year. Update: a new, clearer image of the penta-lens setup has arrived.